The stuffed animal collection from the church pews as of Sunday, April 23, 2016. Thank you all for your donations! On behalf of the FUMC Sesquicentennial Committee, thank you for your help with donating stuffed animals to the church during the month of April, which was Child Abuse Prevention Month. 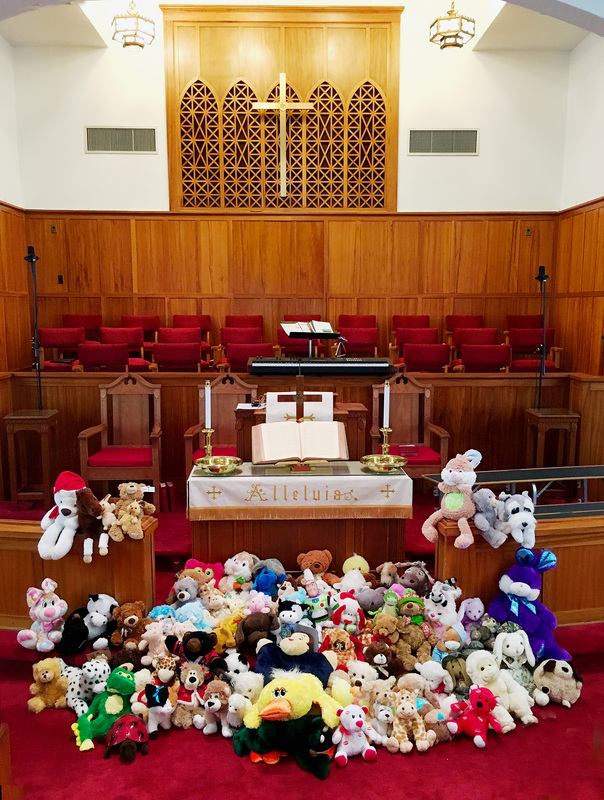 By creating awareness and supporting those who work with our smallest and most vulnerable citizens, our church pews were filled with stuffed animals and received love and prayers each week in April during worship service. The stuffed animals have been collected and are being passed along to our local law enforcement agencies, CASA, Children Advocacy Center and area hospitals. Thank you for blessings upon the children!